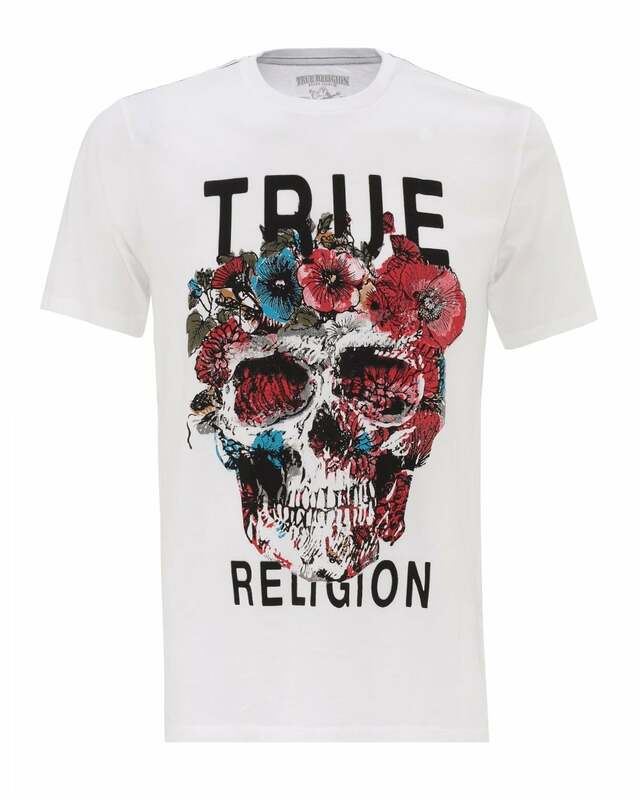 A regular fit short-sleeved t-shirt with a colourful graphic of a skull and flowers, accented with True Religion lettering. Featuring a crew neck and contrast stitching at the neck and shoulders. Use it to inject some colour into your casual outfits.